The term Quonset hut may be unfamiliar to some. This type of prefabricated building is made out of galvanized steel with a semicircular cross-section. They look like long logs that have been cut in half. Many of these Quonset huts were built during World War II for the military. They’re still in use today for restaurants, commercial buildings, workshops, and garages. Some people choose them as an alternative to straight wall buildings. But are they actually better? Why would you choose a Quonset hut over a traditional structure? Quonset huts are actually cheaper buildings, although the gap between the two structures is not as large as it was several decades ago. As design software and manufacturing techniques have improved, the cost of straight wall buildings has decreased. Now, the prices are very similar. Obviously, this category is a win for straight wall buildings simply because every part of sidewall space can be used. With the Quonset huts, there’s not as much vertical space at the sides. This makes them less effective for use as a warehouse or other type of storage structure due to the fact that items can’t be stored at a uniform height throughout the building. Some straight wall buildings do need additional structural supports throughout the “spine” of the building, although no load bearing walls are needed. The same is true with a Quonset hut—there are no interior braces or columns. 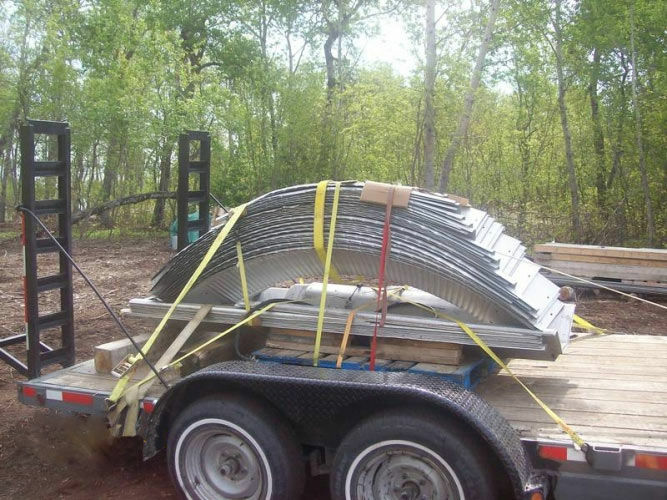 All of the weight is held up by the galvanized sheeting that creates the structure itself. 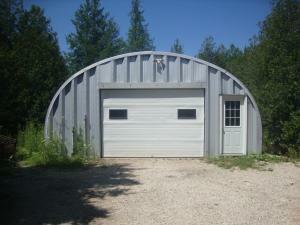 Unfortunately, a curved structure like the Quonset hut places a great amount of stress on the base of the building. Because of this, additional concrete is needed in order to support the building. Specific notches also have to be constructed in the concrete foundation to secure the arches of the building’s frame. Both of these factors increase the price of the building. Quonset huts are, however, much easier to build. Because there’s no need for interior columns or other types of support, the building can be erected using only scaffolding—no cranes or other large vehicles are needed. Because of their shape, Quonset huts can hold up to severe weather better than traditional straight wall buildings can. They can withstand a larger amount of snow, plus they hold up better in high winds. 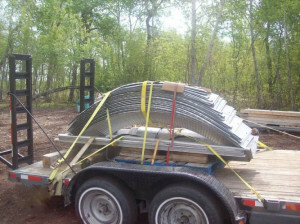 In areas where specific building codes specify how strong a structure must be, Quonset huts may be cheaper to build than reinforced straight wall buildings.